Get ready, I am going to get my whine on. I know it is the holidays, but I am not feeling it. First off, my tree is 99% decorated. I am afraid of heights, and my tree requires the use of a ladder to decorate the top. I have not screwed up my courage (or the energy if I am truthful) to get the ladder out and brave what will be almost certain death. 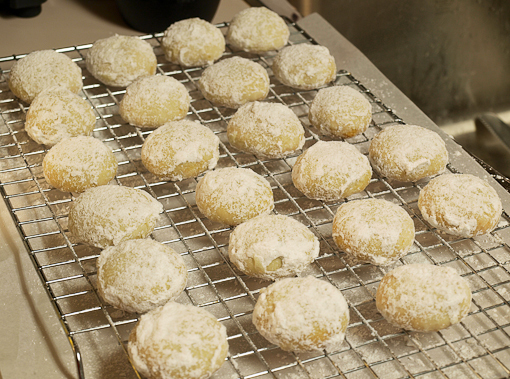 Second, I have only one batch of cookies baked. Usually they are all packed up in the freezer by now. Not this year. Finally, I have so many presents left to buy and have sent out NO cards. Usually by this week in December I am done with shopping, presents are wrapped, cards were sent weeks ago, and I am relaxing and planning Christmas Day. I do not even want to think about Christmas Day. It would be easy to slip into Scrooge mode, and trust me it is a really close thing at the moment, but I think if I work hard and plan properly it will all be ok. It MUST be ok. Please, for the love of the children, say it will be ok!! On top of all this self-imposed “need for perfection’ holiday stress comes this bit of awesome news – I am writing a 3rd cookbook! This one is going to be a book about gourmet muffins, and like the last book I am also doing the photography. It is exciting and a little nerve wracking, in a good way. So, I have Christmas and a book. It is enough to drive even the most stable woman off the edge. 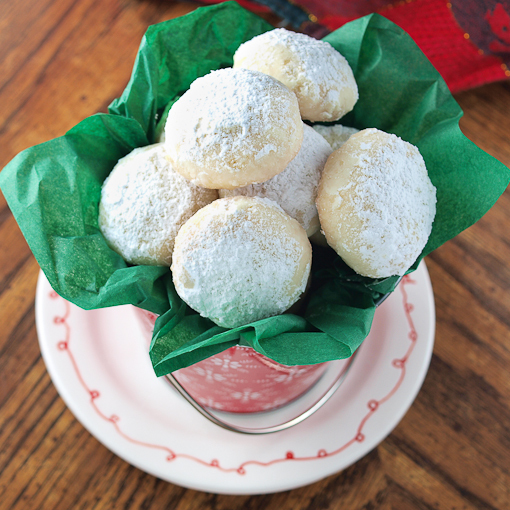 To sooth my nerves, and to check at least one batch of cookies off my list (halleluiah), I made these rather amazing treats. 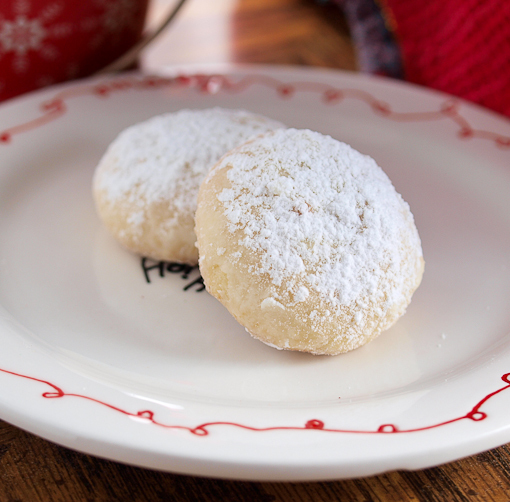 These cookies are buttery, a little crumbly, and they hide a chocolate-mint surprise! You see, tucked into each cookie is a little bit of heaven if the form of chopped chocolate and chopped white chocolate peppermint candy. I used the Andes brand here because I hate hard candy in my cookies. It either melts too much and gets goopy, or it does not melt at all and stays too crunchy. With the Andes peppermint candy I get all the mint flavor with none of the annoying issues. 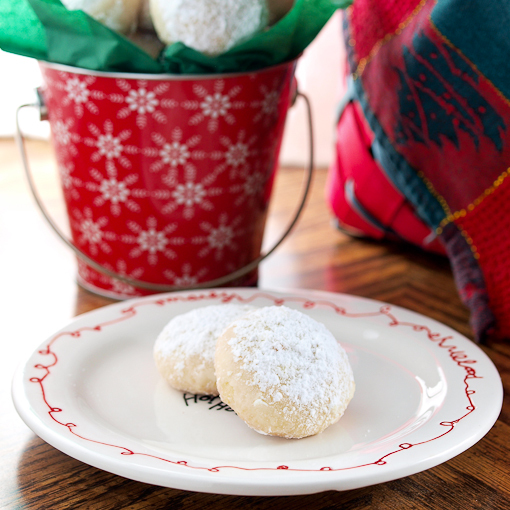 For a final flourish I rolled the cookies in powdered sugar. 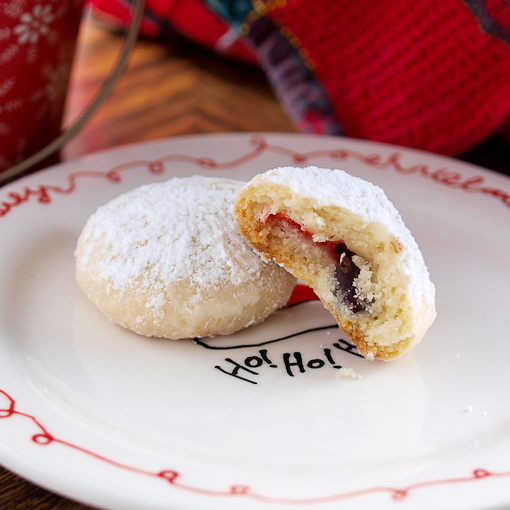 They look so darn festive, and taste so darn good, it is hard to hold on to the holiday grumpies. Also, they are addictive. You have been warned! 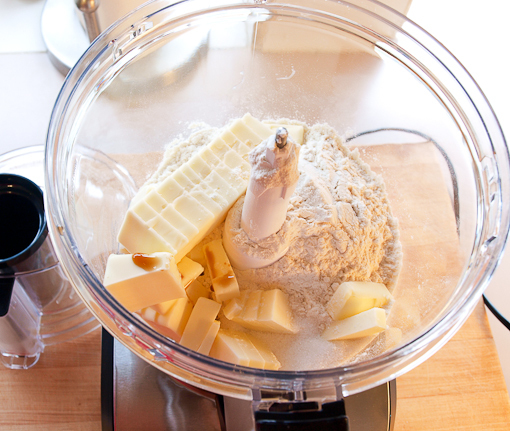 In the work bowl of a food processor add the flour, sugar, vanilla, and butter. Pulse until the butter is in pea sized pieces. 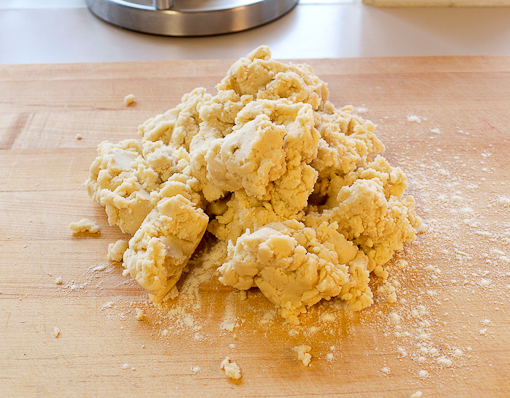 Add the cream and water then process until the mixture forms a very shaggy ball. You may think you need more liquid, but be patient and it will come together. 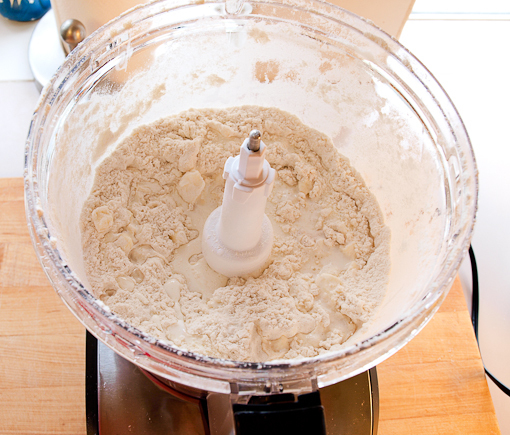 Do not process to a smooth ball in the food processor or the dough will be tough. 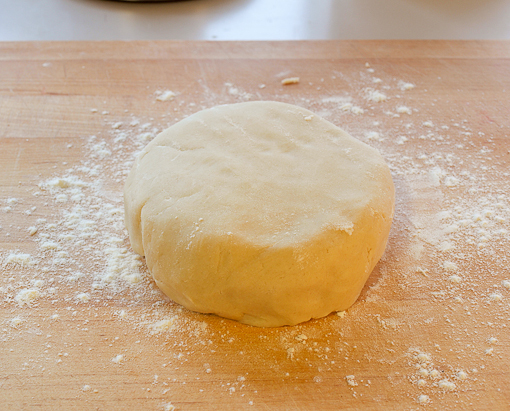 Turn the dough out onto a lightly floured surface and knead three times, then press the dough into a fat disk. Divide the disk in half then roll into a rope about 1-inch around. Cut the rope into 1-inch pieces. Form each piece of dough into a cup, then fill the cups with 1/2 teaspoon each of the chocolate chips and chopped mint candy. 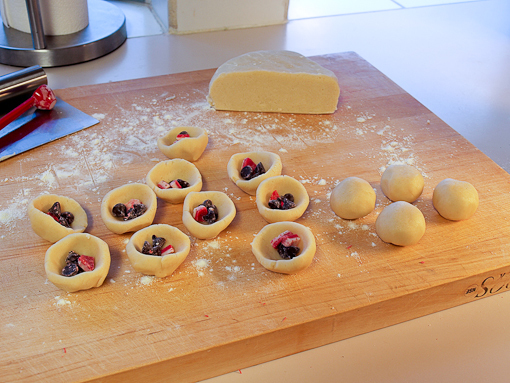 Press the edges of the cup together to seal, then roll the dough between your hands to form a smooth ball. 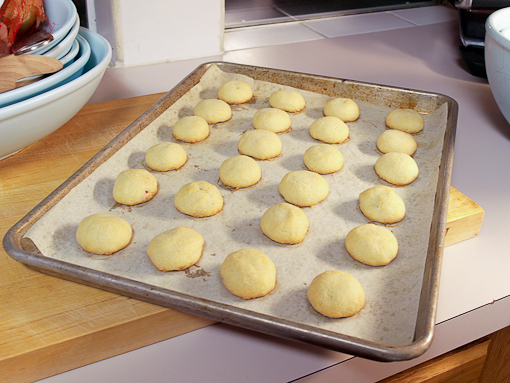 Place the cookies 1-inch apart on the prepared baking sheet. 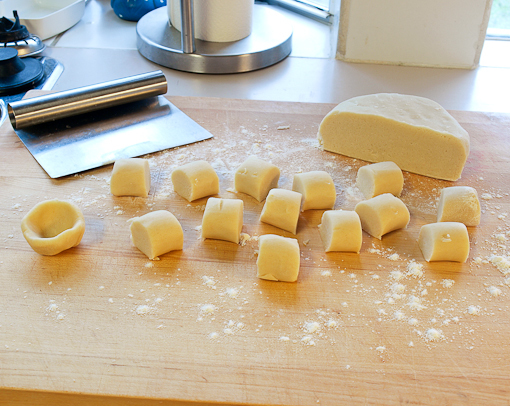 Bake for 18 to 22 minutes, or until the cookies are firm and the edges are just turning golden brown. 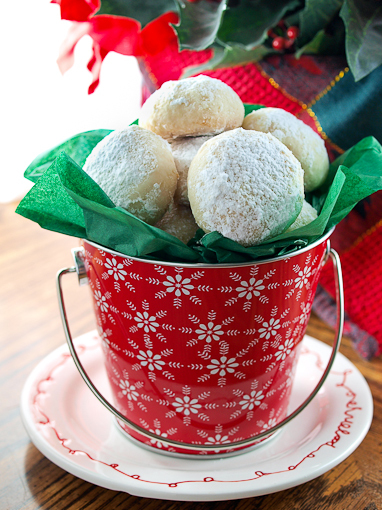 Cool in the baking sheet for 10 minutes then roll the still warm cookies into the powdered sugar. Place on a wire rack to cool to room temperature. These can be stored in an air tight container at room temperature for 5 days, or can be frozen for up to a month. Enjoy! !